International Lunar Observatory Association (ILOA) and Moon Express recently announced a collaboration for the delivery of the first International Lunar Observatory to the South Pole of the Moon in 2019 (ILO-1) — Moon Express has been contracted by ILOA to develop advanced landing technologies supporting the mission. Lunar South Pole – Malapert Mountain: Lunar south pole temperature as imaged by NASA LRO Diviner instrument. The ILO-1 will be landed on a ‘peak of eternal light’ at the lunar South Pole by a Moon Express robotic explorer system. 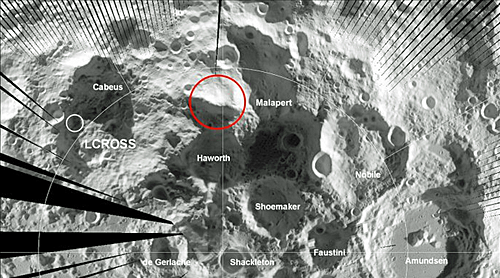 The primary landing site under analysis is Malapert Mountain, a 5 km tall peak in the Aitken Basin region that is bathed in sunshine most of the time and has 24/7 direct line of sight to Earth as well as to Shackleton Crater for communications. Moon Express will use this mission to explore the Moon’s South Pole for mineral resources and water. 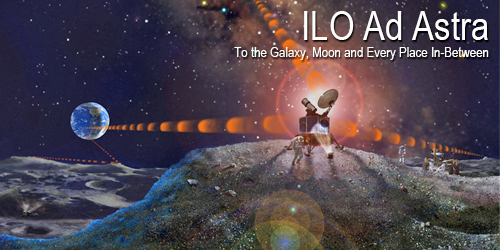 According to ILOA founder and director, Steve Durst, the primary goal of the International Lunar Observatory is to expand human understanding of the Galaxy and Cosmos through observation and communications from our Moon and the aim is to establish a presence on the Moon in 2019, the 50th anniversary year of Apollo 11.